Who doesn’t want spotless and glowing skin, everyone dreams of having flawless skin which doesn’t need any makeup to hide the imperfections. Today I will be sharing a face mask with you guys that is going to give you spotless and glowing skin instantly. This treatment contains 2 parts: one is the face mask and the second part is a dry scrubbing powder. I saw this face mask on a Youtube channel, Dr. Shalini shared this face mask and I tried it out. To my surprise this face mask turned out to be really very effective. 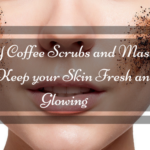 It helps you to instantly brighten up the skin and the scrub helps to get rid of all the dead skin with just one use. So today I will be sharing a recipe with you with which you will be able to get spotless and glowing skin instantly with this DIY marigold face mask. 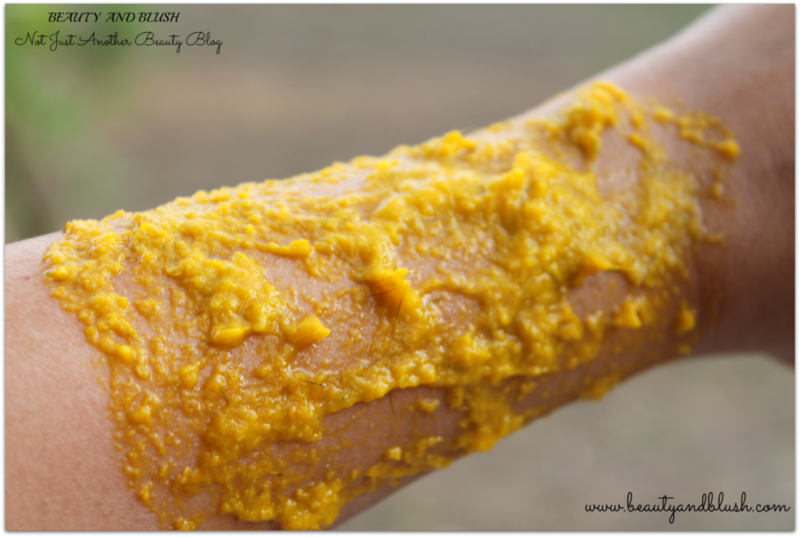 I personally have started trying a lot of natural ingredients for my skin too and all of them are turning out to be much more effective than all those expensive commercial face masks and face creams that we buy. Natural ingredients do not harm our skin and are very mild too. 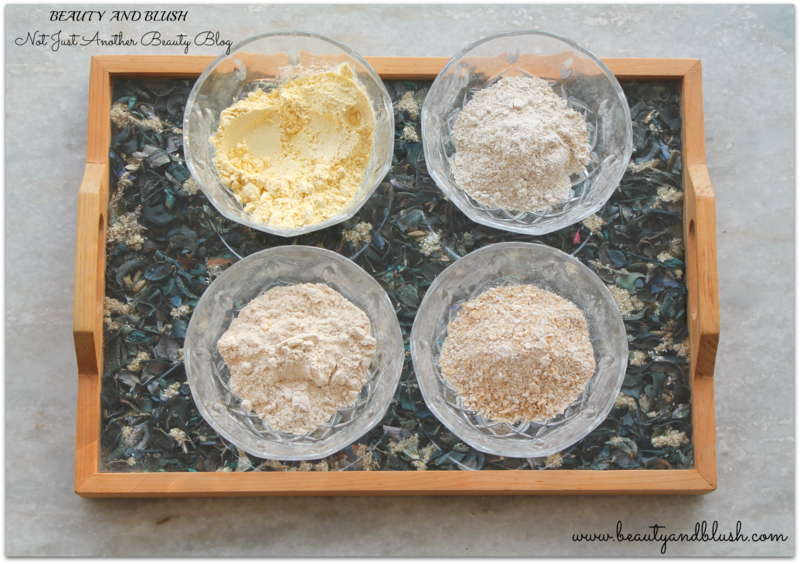 So try using this face mask and see what a difference it brings to your skin instantly. So let’s begin with this awesome DIY. One small piece of Papaya around 75 grams. 1/2 Orange with the peel/skin around 100 grams. 2 Big Marigold Flowers, with the green part. Take a piece of papaya and remove the outer skin but remember not to remove the white skin on the inner side of the piece. That white skin has a lot of enzymes so do not remove that. Take half an orange with the outer peel, remove the seeds. 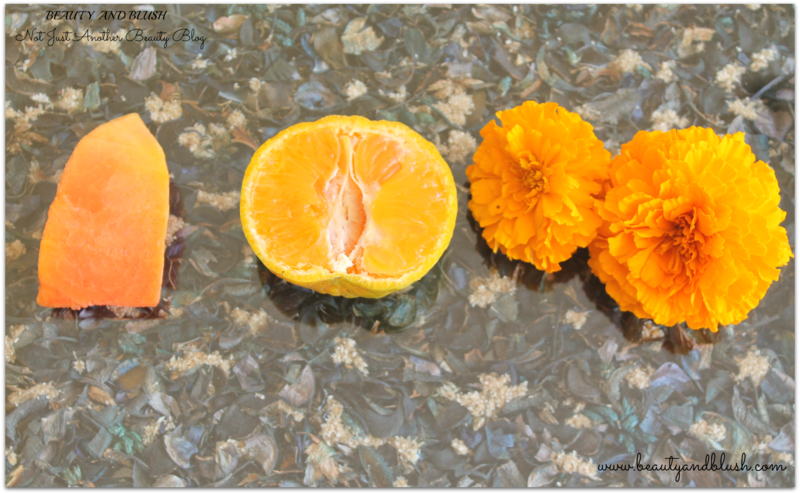 Take the marigold flower, the whole flower with the green part at the base of the flower. 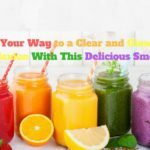 Take all the ingredients and blend them into a smooth paste in a blender. Empty the paste into a bowl and voila your face mask is ready use. I have prepared this face mask in a bigger batch because you can freeze this face mask in a ice cube tray and keep it for 2 months. Whenever you want to use it just de-freeze 2 ice cubes and use it. 1 Tbsp of Wheat Flour. 1 Tbsp of Barley Flour. 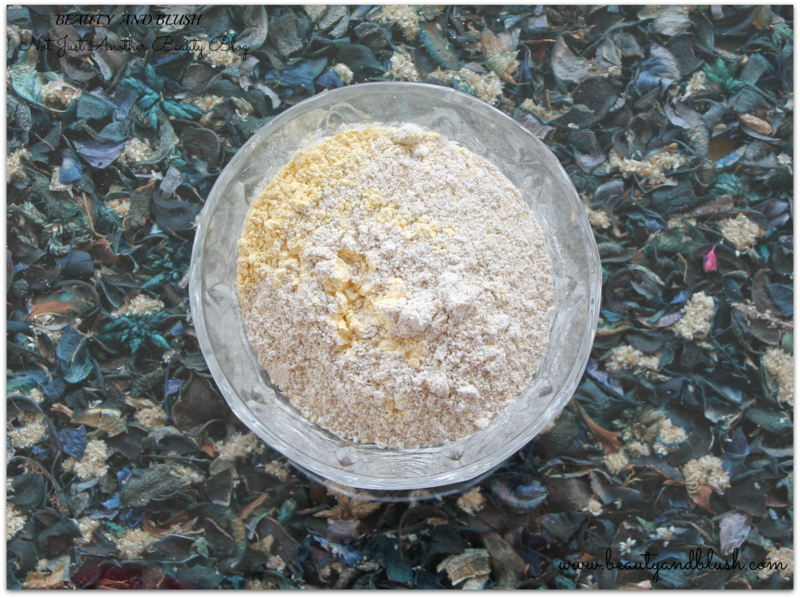 2 Tbsp of Gram Flour or Chickpea Flour. You can store this powder scrub in your refrigerator for a long time. Take the face mask and apply it on your face with the help of a face pack brush. You can also use this mask on your hands and on your feet too. 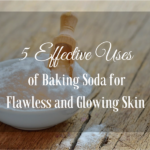 After 10 minutes sprinkle some dry scrubbing powder on your face and start scrubbing it in circular motions. Keep sprinkling the scrubbing powder and keep scrubbing till you get rid of the face pack. After scrubbing wash your face with lukewarm water and apply a moisturizing cream on your face. Papaya is one of the best fruits for skin care. 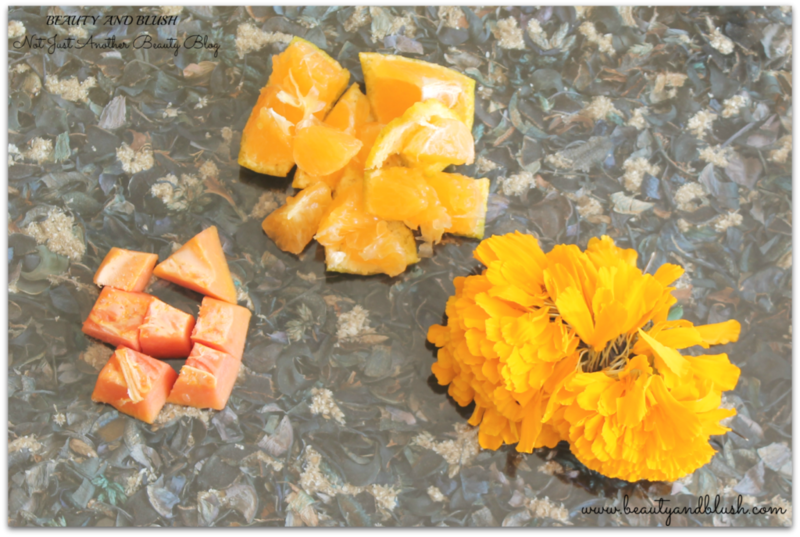 Papaya not only cleanses your skin but also makes your skin glow. It contains rejuvenating enzymes that exfoliate the skin to provide a glowing and flawless complexion. It is loaded with Papain and Vitamin A. The enzyme papain breaks down inactive proteins and eliminates dead skin cells. The Vitamin A works as an antioxidant. 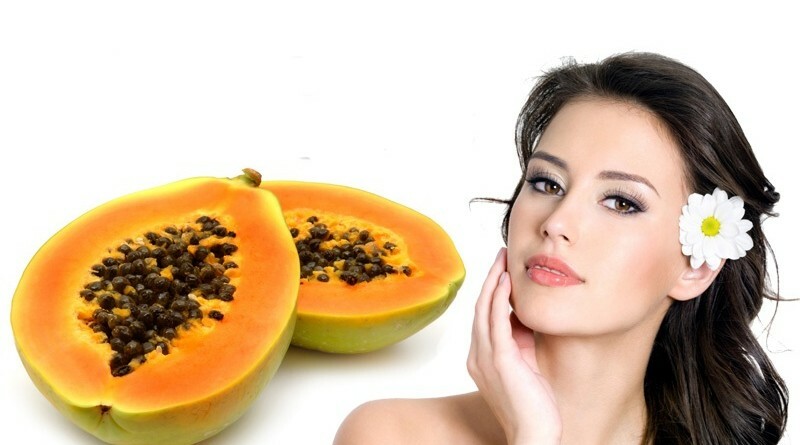 Papaya also works as a great skin firming and anti-aging agent. 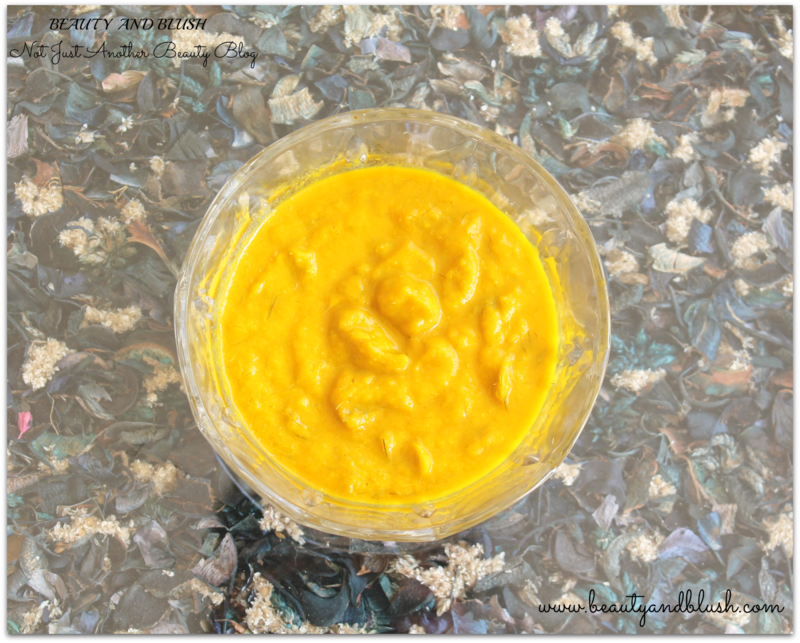 Orange peels have way more Vitamin C than the orange itself so that is why we are also using the orange peel in this face mask. The bright, shiny and tangerine, the peel of the orange contains antioxidants and using it in face masks will give you clear and brighter skin in no time. The peel has anti-bacterial and anti microbial properties which make it great for treating acne and oily skin. It also works as a great skin lightening agent. 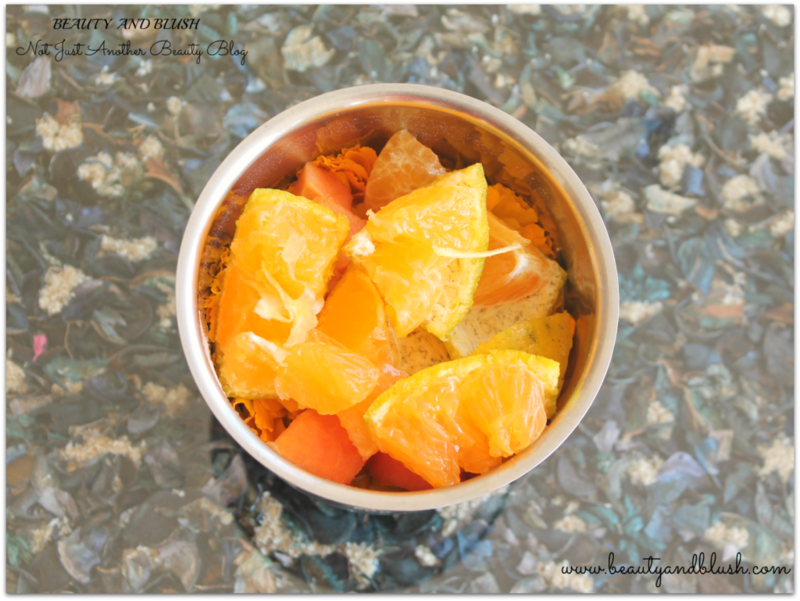 Orange is rich in citric acid which is very helpful in drying acne. Oranges contain fruit acids that gently exfoliate your skin to reveal a brighter skin every day. Orange is rich in Vitamin C which also increases the production of collagen and keep the skin firm and moist. Marigold has antibacterial and anti-inflammatory properties, as well as it is a strong antiseptic agent and is a very effective astringent. 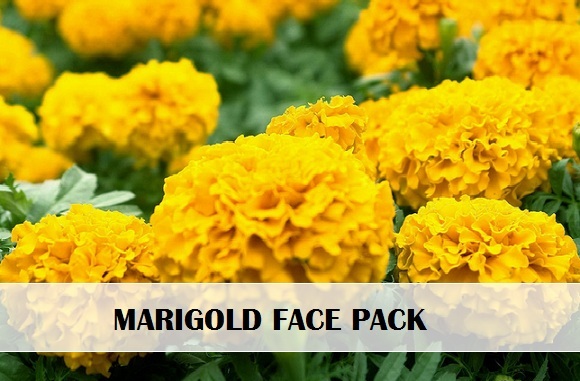 Marigold flower extract is wonderful when rubbed onto the face and skin, which may prevent wrinkles by stimulating the collagen production by the body. 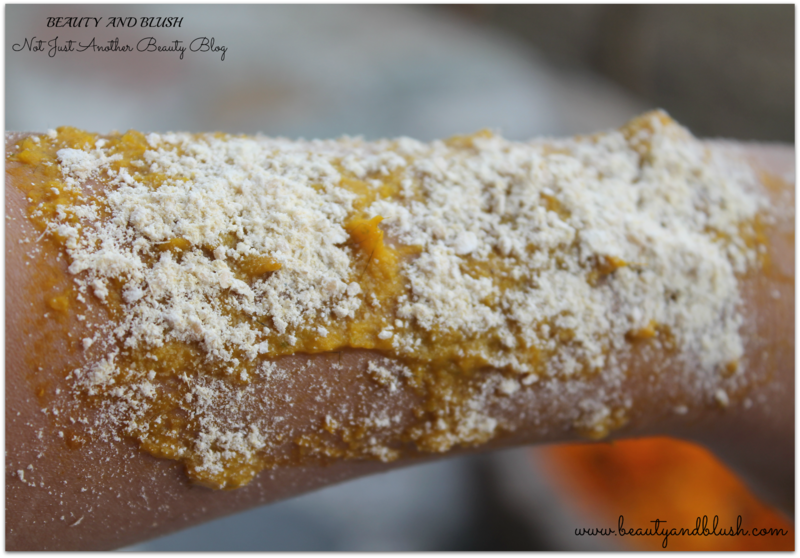 It can be used as a natural moisturizer and is very soothing to irritated and damaged skin. It also has healthy influences on oily skin and normalizes the activity of the sebaceous glands. 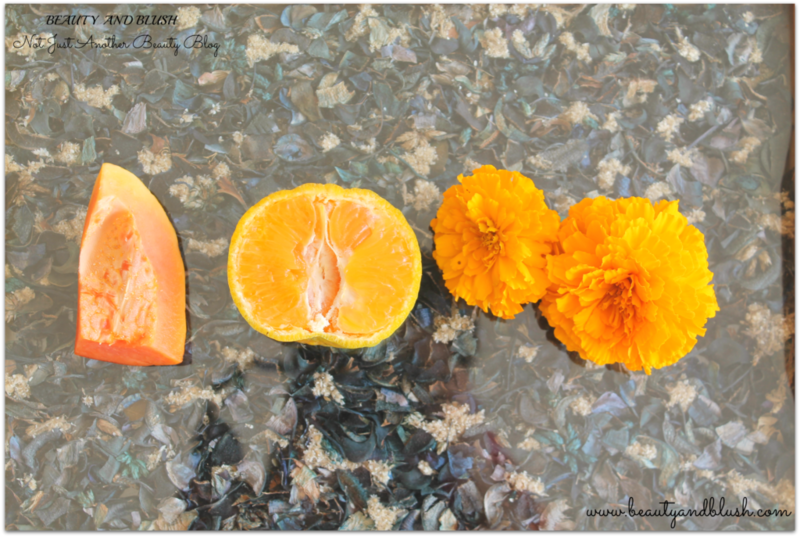 Marigold flower contains Vitamin A, B1 and Vitamin D and is loaded with antioxidants. 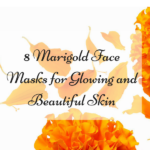 Marigold flower revitalized dull and sagging skin. It also soothes dry, sensitive and damaged skin. 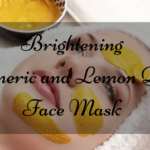 It reduces acne, rashes, pimples and blemishes. You can use this face mask twice a week. 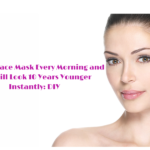 This face mask is going to remove all the dead skin and will give you instantly brighter and fairer skin. This face mask is going to fight against all skin infections and will clear out all acne and other type of skin infections. 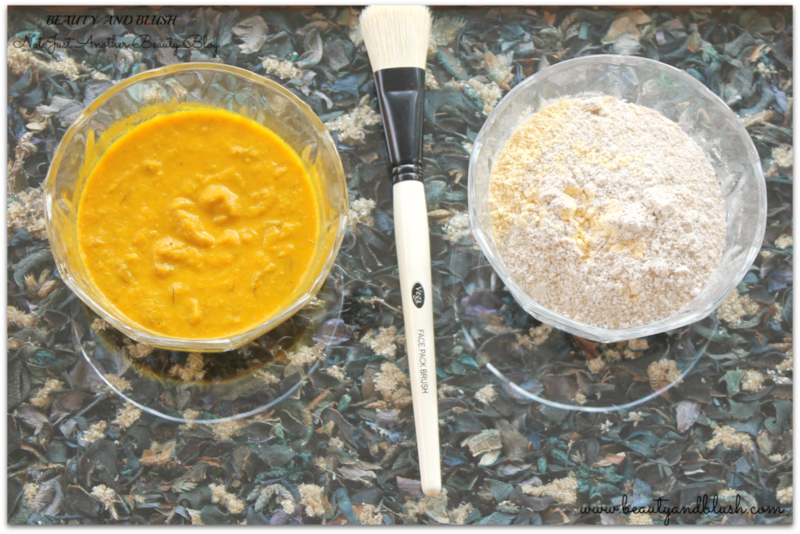 Do try this face mask and see how effective this face mask and skin scrub is going to be. I didn’t know you could use marigolds for skincare. This mask sounds very good for the skin. 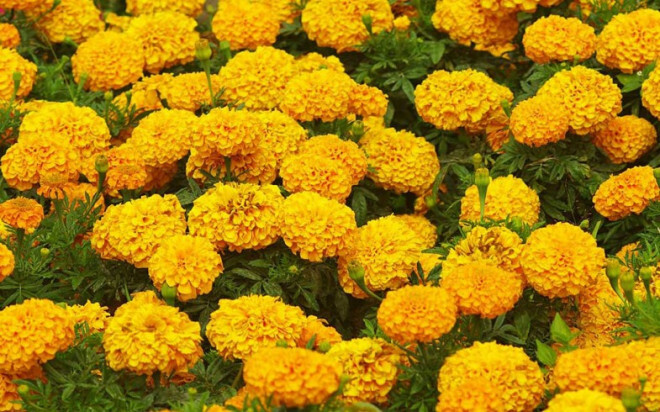 Sangeeta marigolds are really beneficial for skin care and help to cure acne too.